The Gallery Base inaugurates “The eye point is not the same as seeing”, composed of 32 works - collages, drawings, engravings, photographs and paintings – from Abraham Palatnik, Almandrade, Antonio Dias, Christian Cravo, Emanoel Araújo, Falves Silva, José Cláudio, José Rufino, Macaparana, Marcelo Silveira, Márcio Almeida, Marco Ribeiro, Mario Cravo Neto, Montez Magno and Sérvulo Esmeraldo, under the curatorship of Paul Azeco. The press has referred to the concept of Hypermodernity proposed by French philosopher Gilles Lipovetsky, and subverting any notion regionalist, gathers 15 Northeastern artists from different generations, whom, each in its own way, They have a global art, contemporary and contextualized. In this new collective of gallery Base, It stands out a Brazilian production that dialogues with each other through a contemporary language, representing a universal and consistent art with your time. Works created from the roots of these artists, and that makes a refined and distinctive visual imagery. “If at the beginning of the last century, in response to the Modern Art Week (1922), we had the 'Heroic Phase' with PauBrasil Movements (1924), Verde­Amarelo (1926) and Antropofágico (1928), result of the first two equation, 90 years later the Brazilian artistic production flows naturally symbiotic way. It can be said that, always based on the popular imagination, it is one of the regions where aesthetics force is perhaps the strongest came with its regional influence without being intrinsic, necessarily, regional”, comments Paul Azeco. “The eye point is not the same as seeing"Refers to a Eurocentric look that prevailed in our country for several generations, inspired by European culture and focused on the production of artistic elite concentrated in the Southeast, and for years he has not seen or played down the wealth of artists in northeastern Brazil – region from which came some of the most widely recognized names, as Antonio Dias, Marcelo Silveira and Sérvulo Esmeraldo. Taking Hypermodernity as an enhancement of modern culture, the new mass media, and especially the misconception being increasingly connected, while loneliness remains the greatest feeling, we note that the production of these artists northeastern Brazil is in line with this concept. In this sense, the curator highlights: “Many of the exhibition's artists have strong international careers, proving that mass communication and the global village can indeed be of great value in artistic production. Yet, It is important to note that this is valid when the eye pays attention to yourself before you see the world and, in that, the names of such exposure did masterfully. An exhibition of fellow artists embracing a world”. Work of Jose Rufino, Exhibition “The eye point is not the same as seeing”. Photo: Disclosure. Obra Montez Magno, Exhibition “The eye point is not the same as seeing”. Photo: Disclosure. Work Sérvulo Esmeraldo, Exhibition “The eye point is not the same as seeing”. Photo: Disclosure. Work of Marcelo Silveira, Exhibition “The eye point is not the same as seeing”. Photo: Disclosure. Cicero Dias' work, Exhibition “The eye point is not the same as seeing”. Photo: Disclosure. kinetic artist, painter, designer. In 1932, moved with his family to the region where, currently, it is located or the State of Israel. From 1942 to 1945, Technical studies in the School Montefiori in Tel Aviv and specializes in internal combustion engines. Starts his art studies in the painter's studio Haaron Avni (1906-1951) and sculptor Sternshus and studying aesthetics with Shor. Frequents the Municipal Institute of Art Tel Aviv, between 1943 and 1947. Returns to Brazil 1948, and settled in Rio de Janeiro. Coexists with Ivan Serpa artists (1923-1973), Hiroshige (1925) and Almir Mavignier (1925). 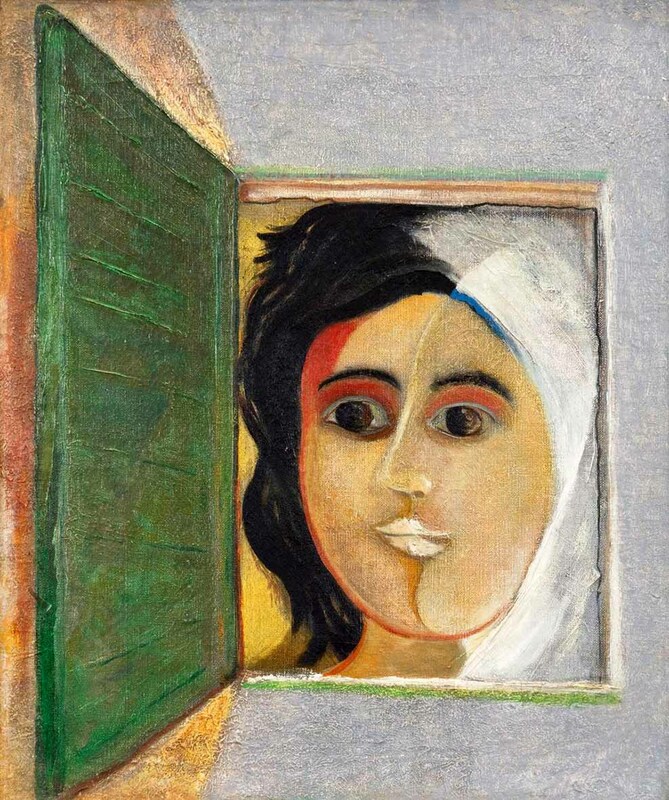 With the latter attends the house Mario Pedrosa art critic (1900-1981) and knows the work of Dr. Nise da Silveira (1905-1999), Psychiatric Hospital of Engenho de Dentro. Contact with the artists and the conceptual discussions with Mário Pedrosa make Palatnik break with the conventional criteria of composition, leave the brush and the figurative and go for more free relations between form and color. Around 1949, begins studies in the field of light and movement, resulting in cinechromatics apparatus, forth in 1951 the 1st International Biennial of São Paulo, where he received honorable mention from the international jury. 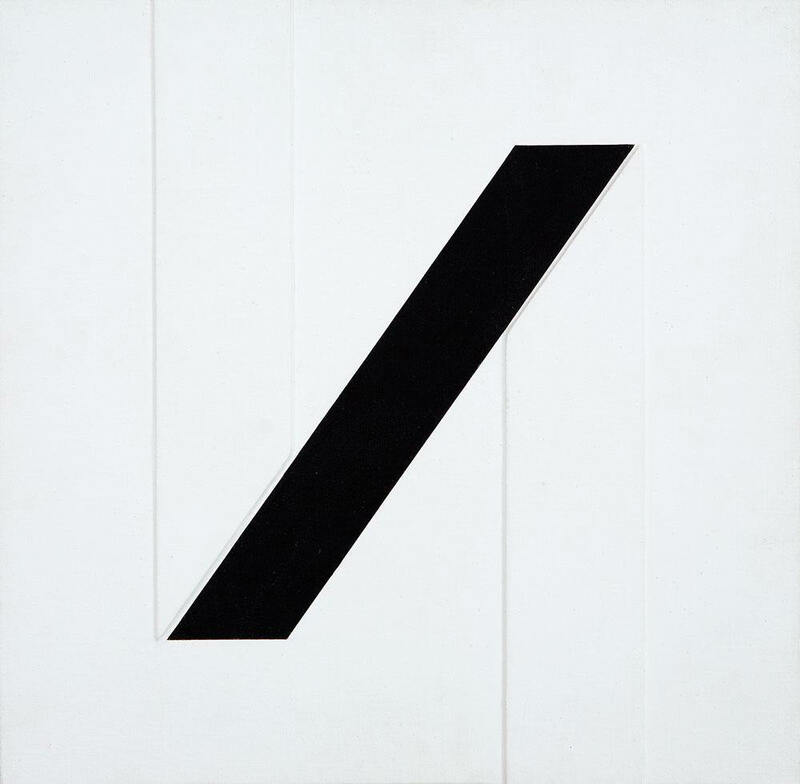 In 1954, integrates Front Group, alongside Ivan Serpa, Ferreira Gullar (1930), Mário Pedrosa, Franz Weissmann (1911-2005), Lygia Clark (1920-1988) and other. Develops from 1964 the Kinetic Objects, an unfolding of kinechromatic, showing the internal mechanism of operation and suppressing the light projection. The mathematical rigor is a constant in his work, acting as an important sorting feature space. It is internationally considered one of the pioneers of kinetic art. Lives and works in Salvador, Bahia. Artist, architect, in urban design master, poet and professor of art theory of art workshops of the Museum of Modern Art of Bahia and Palace of Arts. He participated in several group exhibitions, among them: XII, XIII and XVI Biennial; "In Search of the Essence" - special show XIX Biennial; IV National Hall; Universe Football (MAM / Rio); National Fair (S.Paulo); II Paulista Hall, First International Exhibition of Ephemeral Sculpture (Fortress); I Salon Baiano; II National Hall; Honorable mention in the Student Hall I 1972. Collective integrated visual poems, multimedia projects and facilities in Brazil and abroad. It held about thirty solo exhibitions in several states. Has works in several private and public collections, such as: Bahia Museum of Modern Art, Museu Nacional de Belas Artes (Rio de Janeiro), The City Museum (Salvador) and Municipal Pinacoteca de São Paulo, African Museum (São Paulo), Museum of Rio Grande do Sul Art and Brazil Godlen Art. visual artist and multimedia. Spends his childhood in cities of Northeastern Brazil and learn drawing techniques with grandfather. In 1958, moved to Rio de Janeiro and works as a designer and graphic artist. His first individual exhibition takes place in 1962, in Sobradinho Gallery, Rio de Janeiro. Participates in the view shows 65, the emergence in March of the new realism in the arts. In the same year, collectors and the French critic Pierre Restany (1930-2003) organize one-day individual at the 4th Biennial of Paris. In this period, produces works on videotape, distributed by the Historical Archives of the Venice Biennale. In 1968, It is hired by Studio Marconi, in Milan, where you meet the art povera1. In 1972, receives a Guggenheim Fellowship, in New York. Back in Europe, He is invited by the German artist Joseph Beuys (1921-1986) to coordinate the Latin American section of the Free International University (FIU). In 1974, It produces a large installation in the Museum of Modern Art, Rio de Janeiro (MAM/RJ). The following year, participa do Festival of Expanded Media, in Belgrade, Serbia, com The Illustration of Art: Economy. In 1977, travels to Nepal and research paper production techniques, resulting in series of large format works and the album publication Trama. In 1978, performs environments with cinematic techniques at Palazzo Reale in Milan and shows Art & Cinema, Venice. Back to Brazil, coordinates the Contemporary Art Center of the Federal University of Paraíba (NAC / UFPB), next to the critic Paulo Sergio Duarte (1946). Returns to Milan in 1981 and approximates the motion transvanguardia. In 1988, é bolsista do German Academic Exchange Service (DEED), in Berlin. In 1992, torna-se professor da International Summer Academy of Fine Arts, in Salzburg, Áustria. The following year, leciona na State Academy of Fine Arts, in Karlsruhe, Germany, and, in 1997, in the graduate program of Ateliers Arnhem, in the Netherlands. In 2010, It moved to Rio de Janeiro, where proceeds intense production. Danish mother and Brazilian father, It was created in an artistic environment in Salvador, Bahia. It was introduced in the arts from an early age. However, just started his experiments with the photographic technique to eleven years old, while living in Denmark, where he spent his entire adolescence. In 1993, interrupts his photographic research to perform military service in the Danish Defense. With twenty-two years, back to his native Brazil, when you begin to be deeply mingled with the camera. Over the last twenty years, Christian could see their work recognized, not only at the national level, but also internationally, through exhibitions at the Modern Art Museum of Bahia, at Throckmorton Fine Art in New York, Billedhusets in Galeri in Copenhagen, the Ministry of Culture in Brasilia, Tomie Ohtake Institute and Museum Afro Brazil, both in São Paulo and in group exhibitions such as the Witkin Gallery in New York, S.F. Camera Works Gallery na Califórnia, the biennial Fotofest in Houston and at the Palais de Tokyo in Paris. He received awards from the Bahia Museum of Modern Art, e do Mother Jones International Fund for Documentary Photography. In addition to research grants from the Vitae Foundation and the John Simon Guggenheim Foundation for his research on water and faith. In 2016 It was awarded for APCA (Paulista Association of Art Critics) the best photographic exhibition 2015. It has been nominated for international awards such as Paul Huff (Holland 2007) e o Prix Pictet (Switzerland / United Kingdom, 2008 and 2015 and 2016). His first book “Irredentos” It was published in 2000 and 2005 and his second book “Roma black, Métis town” It was published in Paris, Otherwise por. Other books he authored are: “In the Gardens of Eden” 2010, “Exú Illuminated” 2012, “CHRISTIAN CARNATION”, edited by the prestigious publishing house Cosac & Naify in 2014 and “MARIANA” 2016. Currently lives in São Paulo, is married and father of three daughters. Sculptor, designer, illustrator, costume designer, recorder, set designer, painter, curator and museologist. Learn joinery with master Eufrásio Vargas and works with linotype typesetting and in the official press, in Santo Amaro da Purification, Bahia. He held his first solo exhibition in 1959. In the 1960, moved to Salvador and entered the School of Fine Arts of the Federal University of Bahia (UFBA), where he studied engraving with Henrique Oswald (1918-1965). In 1972, It is awarded the gold medal at the 3rd Biennial Graphic Florence, Italy. Receive, the following year, the best writer award, and, in 1983, the best sculptor, Paulista Association of Art Critics (APCA). Between 1981 and 1983, installs and runs the Bahia Art Museum (MAB), in Salvador, and exhibits individually at the Art Museum of Sao Paulo Assis Chateaubriand (MASP). In 1988, You are invited to teach graphic arts and sculpture at the Arts College, na The City University of New York. From 1992 to 2002, He holds the position of director of the Pinacoteca do Estado de São Paulo (Pesp) and is responsible for the revitalization of the institution. Yes, between 1995 and 1996, invited member of the Committee on Museums and the Federal Council for Cultural Policy, created by the Ministry of Culture. Since 2004, He is curator and director of the Afro-Brazil Museum, in São Paulo, with works from his collection. It is one of the movement of precursors artists Poem / Process, alongside names like Moacyr Cirne, Wlademir Days Pin, Alvaro de Sa Sa and Neide, participating in 1967 his inaugural manifesto. In 1981 participates in the XVI Bienal de São Paulo, curated by Walter Zanini. From the 1980, It is associated with the international network of Mail Art, keeping in intense and fruitful dialogue with artists of different generations and nationalities, among which Jota Medeiros, Ivald Granato, Leonhard Frank Duch, Paulo Bruscky, Hudinilson Jr, Clemente Padin, Edgardo Antonio Vigo, Ulises Carrión and Horacio Zabala. Have their work displayed in International mail art exhibition, Tokyo, Japan, in 1984, and Art Biennial II Mail, Spain, in 1999. More recently, the artist had a solo exhibition "Time Circle", retrospective of his career, presented at the São Paulo Cultural Center. The production Falves Silva can be thought of as a convergence of two of the principal axes of Brazilian art: concrete and conceptual art movements. The artist talks to the literature, cinema and comics; manipulating communicative structures and images of art history and mass communication, Falves Silva creates his work by diversifying the approach and treatment of the materials that elected. Painter, designer, recorder, sculptor, art critic and writer. In 1952, José Cláudio, Abelardo side of the Time (1924-2014), Gilvan female (1928-2013) e Wellington Virgolino (1929-1988), among others, founded the Collective Workshop of Modern Art Society of Recife (mergers). Later, in Salvador, José Cláudio is driven by Mario Cravo Junior (1923), Carybé (1911-1997) e Jenner Augusto (1924-2003). Travels to São Paulo in 1955, which initially works with Di Cavalcanti (1897-1976), also studying engraving with Livio Abramo (1903-1992) the Museum of Modern Art Crafts School in São Paulo (MAM / SP). Performs character figurative paintings, portraying regional scenes and landscapes Northeast; avoid, but, the picturesque character to highlight the dialogue with abstraction, formal simplification, and free use of the brushstroke. Poem integrates the motion / process (1967-1972) with its series "Stamps". In 1975, the artist participates in the important expedition to the Amazon, promoted by the Museum of Zoology of the University of São Paulo (MZ / USP), recording in various designs various regional aspects oil which resulted in the book "100 screens, 60 days and a travelogue ". 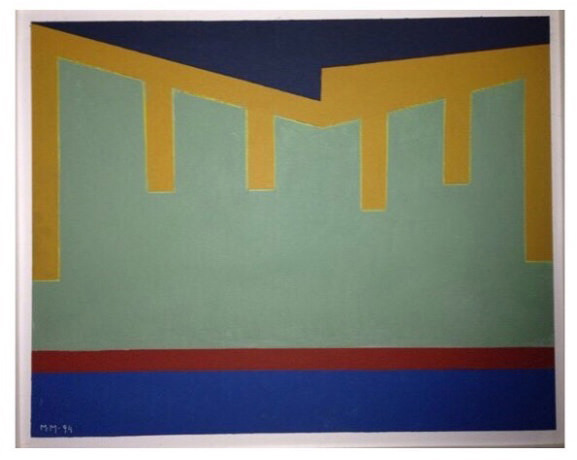 Major exhibitions of the artist: Paulista Salon of Modern Art (1956) | International Biennial of São Paulo (1957) | International Biennial of São Paulo (1959) | International Biennial of São Paulo (1961) | International Biennial of São Paulo (1963) | Panorama of Brazilian Art – MAM (1969) | Panorama of Brazilian Art – MAM (1983) | International Biennial of São Paulo (1985) | Panorama of Brazilian Art – MAM (1993) | Retrospective Exhibition - MEPE (2009) | Pernambuco Experimental - SEA (2015) | stamps exhibition, José Cláudio - MAMAM (2017) Stamps - José Cláudio - Project Directory, gallery Base, SP-Arte (2018). Lives and works in Singapore. He developed his artistic journey through poetry for poetry-visual and, then, for art-postcard and drawings, in the years 80. The universe of the decline of sugarcane plantations in Brazil conducted its initial work on drawings and installations with furniture and family documents and institutional. Son of political activists arrested by the dictatorship of the Brazilian military regime in the years 60, the artist is also well known for its impressive works of political character. lately, It has made forays into film language and develops increasingly a joint working monotypes / furniture / objects and installations. The dichotomous dialogue between memory and forgetting contaminates their work altogether. In 2012 participation in SP-Arte, A parting of the waters na sala Contemporânea, the CCBB / Rio de Janeiro; In 2011, exposed the work 28.01.79 Sand in the 12th Festival, Sand-PB; out of the parting of the waters, as a guest artist Energisa Award for Visual Arts, in João Pessoa-PB; In 2010, Aenigma exposed on the Milan Gallery in São Paulo; Blots & Figments, no Museu Andy Warhol, in Pittsburgh, USA; e Fausto, the Palace of Acclamation, in Salvador. She participated in the 25th International Biennial of Sao Paulo and group exhibitions such as Contemporary Paths, in the Imperial Palace (Rio de Janeiro), I AMBAS 2002; ARCO - International Contemporary Art Fair, in Madrid, Spain, in 2001; e of Art in the World, not Pont Alexandre III, Paris, in 2000. He held solo exhibitions in Virgil gallery in São Paulo, in the year 2008; the Gallery Amparo 60 and the Museum of Contemporary Art (MAC) of Niterói, in 2005; Valley Museum, Vila Velha - ES, in 2003; Adriana Penteado in Contemporary Art, São Paulo, in 1998; and Cultural Sérgio Porto, Rio de Janeiro, in 1996. The latest research of the artist deal with irreversible failure of the body and memories. Painter, designer and sculptor. Autodidact (self taught), He began his career as a painter figurative. He held his first solo show in Recife, in 1970, the Gallery of Pernambuco Tourism Company (Empetur). In 1972, moved to Rio de Janeiro and 1973 for Sao Paulo, where it settled permanently. For nearly 10 years exposed in the two cities work thematizing the ex-voto. In 1983, contact with Willys de Castro (1926-1988), exponent of neoconcretism and decisive for the change in their work. Takes part in the 21th International Biennial of Sao Paulo in 1991. its exhibitions, individual and collective, They have been in São Paulo, Rio de Janeiro, Recife, Brasilia, Mexico, Japan, New York and London. In 2009 performs solo exhibition of sculptures, paintings and drawings in the Cayon Gallery, in Madrid, and participates in the collective Materia Gris, in the same gallery. Sculptor. It grows on the farm parents, Engenho Amora Grande, and moved to Recife in 1979. Attends Guaianases Workshop, Olinda, between 1982 and 1985, where he began his artistic training. He studied art education at the Federal University of Pernambuco – UFPe, between 1985 and 1990. In this period, opens studio in Gravesend, Your hometown, and develops activities with children in the region. In 1990, Silveira performs solo exhibition Engenho Objects, in Itaugaleria of Belo Horizonte, and visit an Arthur Bispo do Rosario exhibition (1911 – 1989), the Museum of Pampulha, which becomes an important reference in his work. He lives in Barcelona for three months 1992, and attends the Massana School of Arts. In the years 1995 and 1996, resumes his activities as art educator, initiated with the studio of Gravesend, working with three-dimensional creation in universities and cultural centers. 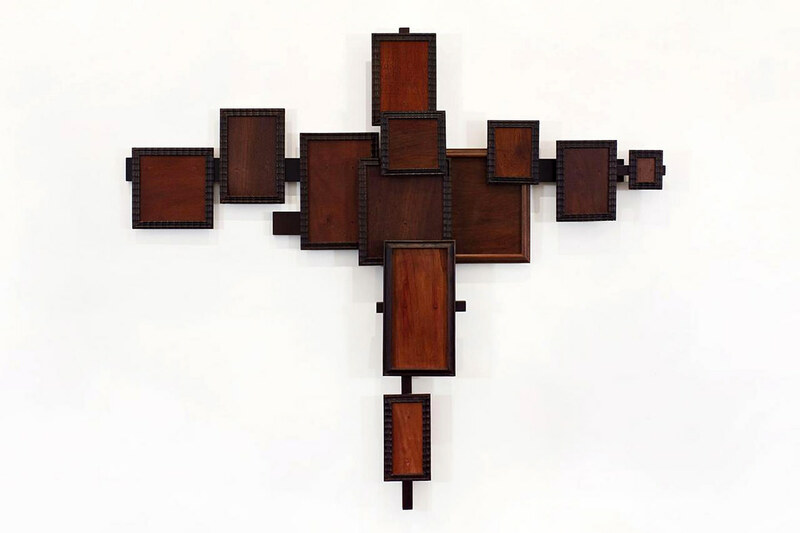 In 2000, Silveira opens the project Correcaminhos, with which transfers his studio to different cities of Pernambuco interior and exchange knowledge with the craftsmen who finds. Participates, in 2005, the Year of Brazil in France and 5th Mercosul Biennial, in Porto Alegre. Works and lives in Recife. Multimedia artist, He began his career in the late 1980 and, since then, develops his work using various media: paintings, drawings, engravings, objects, photographs, videos, facilities, including some for urban interventions. In its path, held solo and group exhibitions, in museums and galleries in Brazil and abroad. His works appear in the collections of major institutions in Brazil, such as: Pinacoteca do Estado de São Paulo, Museum of Modern Art – MAM / SP (Group Loading and Unloading) Free loan – Museum of Santa Catarina, Museum of Modern Art Aluizio Magalhães. MamaMia - Recife / PE, Contemporary Art Museum of Rio Grande do Sul - MACRG - Porto Alegre / RS, Sea Dragon Museum of Contemporary Art – Fortaleza / CE, Art Museum of Rio de Janeiro - SEA – Rio de Janeiro/RJ, Centro Cultural São Paulo - São Paulo / SP. There are 16 signed years residence in Fortaleza. He has worked as a designer and art director and since 2015 dedicated exclusively to the artistic craft. 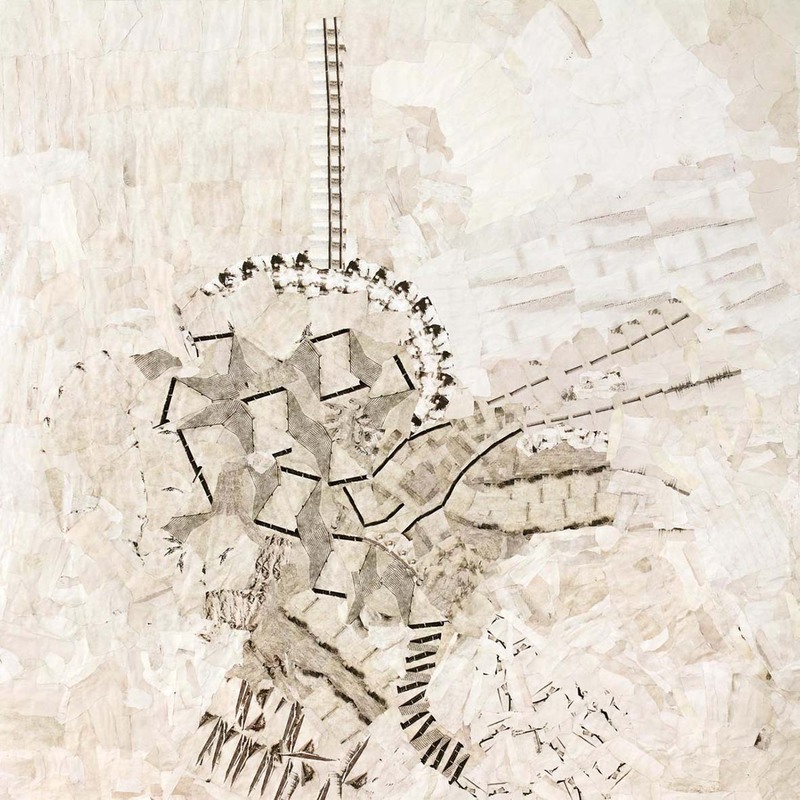 On the role, the artist creates artwork in various techniques like drawing in ink and watercolor, expanded picture, the Sculpture, experiments with cement and cotton line. Highlight the Writings series of Constantius (2016/2017), Vanishing Point (2016/2017), Projetantes lines (2017), I wrote letters to me (2017) and the project Desconcreto (2015/2016). It is also dedicated to the course of Architecture and Urbanism, choice that interacts extensively with your artwork. integrated, in 2015, the group exhibition Elementa, he presented his series Mineralia, in Contemporarte Gallery, in Fortaleza / CE, in 2017, exposure Connections, the Gallery Vicente Leite and XIX Unifor Plastic, both in the capital of Ceará. In 2016, held two solo exhibitions: homonymous, Galeria na Karla Osorio (Brasilia / BSB), and Structural, in Contemporarte Gallery. Photographer, sculptor and designer. Receives the first guidelines in the field of design and of his father's sculpture, Mario Cravo Junior. Accompanying his father, que participa do programa Artists on Residence, sponsored by Ford Foundation, travels to Berlin 1964. In this town keeps in touch with the Italian artist Emilio Vedova and the photographer Max Jakob. In 1968, moved to New York and studied at the Arts Students League, with guidance from Jack Krueger, one of the conceptual art of the precursors in the city. In this period, performs a series of photographs of On the Subway colors and produces his first acrylic sculptures. Returns to Brazil 1970. It suffers a car accident in 1975, and interrupted their professional activity for a year. Later, dedicated to studio photography, creates installations and performs photographic work themed related to Candomblé and Catholic religiosity. publish, among others, Ex-Votes books, 1986, Salvador, 1999, Laróyè, 2000, On earth under My Feet, 2003, The Tiger and the Dahomey – A Serpente Whydah, 2004. Receives the National Prize of the National Arts Foundation Photography – Funarte, in 1996, o Price Waterhouse, the Panorama of Brazilian Art of São Paulo Museum of Modern Art – MAM / SP, in 1997; and the best photographer of the year award of the Paulista Association of Art Critics – APCA, São Paulo, in 1980, 1995 and 2005. Painter, sculptor, intermedia artist, writer and illustrator. Studied drawing and painting, between 1953 and 1966. In 1957, held his first solo exhibition at the Institute of Architects of Brazil, in Recife. From 1960, publishes articles and art on research in Brazilian newspapers. Become a fellow of the Institute of Hispanic Culture 1963 and 1964, allowing you to travel through several countries in Europe. With the Award received at the I Global Hall of Northeast, travels to Europe and Algeria studies 1975. Back to Brazil, teaches sculpture at the Federal University of Paraíba. Illustrated the book The Devil on Christmas Eve, Osman Lins, and several books of his own. Sculptor, recorder, illustrator, painter. At the beginning of his artistic career, dedicated to the woodcut. From 1947, in Fortaleza, attends the Cearense Society of Plastic Arts (SCAP) and keeps in touch with Paula Inimá (1918-1999), Antonio Flag (1922-1967) and Aldemir Martins (1922-2006). During this period have painting classes with Jean-Pierre Chabloz (1910-1984). In 1951 It works in assembling the 1st International Biennial. After the closure of the Biennial, takes up residence in São Paulo, exercises recorder function and illustrator in Correio Paulistano and has contact with Marcelo Grassmann (1925) and Livio Abramo (1903-1992). In 1956, founded the Museum of Engraving, in the city of Crato, Ceará. In 1957, individual performs at the Modern Art Museum of Sao Paulo (MAM / SP) and travels to Europe with the French government scholarship. Em Paris estuda litografia na National School of Fine Arts [National School of Fine Arts] and has access to rare works of the Bibliothèque Nationale de France, allowing you to study the engravings of Albrecht Dürer (1471-1528) for two years. With guidance Johnny Friedlaender (1912-1992), starts his engraving work, published by European publishers. In the mid- 1960, integrates the movement of kinetic art, when performing the excitable works – paintings and objects powered by static electricity. Returns to Brazil 1978, fixed in Fortaleza and is dedicated to public art. Idealizes in Fortaleza the International Exhibition of Ephemeral Sculpture, which is curator 1986 and 1991. Goias, 35 years, degree in Visual Arts – Graphic Design from the Federal University of Goiás, with emphasis on Brazilian modernist photography. He worked with Thomaz Farkas. Specialist in Applied Arts from the Ecole Boulle in Paris and graduate in curating and museology. In 2011, develops curatorial project of Odd Gallery, in São Paulo, and 2012 inaugurates the Gris Art Office, focusing on contemporary art and artistic exchange between Brazil and Belgium. He worked for ten years in Micasa group, He was artistic director of Houssein Gallery Jarouche. Acts as an independent curator. founded by Daniel Maranhão and Fernando Ferreira de Araújo in 2016, the gallery participated in fairs, expanded its headquarters and, in March 2017, opened its current space. Daniel opened the GaleriaSete, in 2012, in Recife. Fernando is an art collector and artist, also acts as art dealer since moving to New York, in 2003. To create the Base Gallery, They have the purpose of acting both in the primary sector, with representation from new artists and doing exhibitions in its space, participating in national and international fairs, as well as work with works of established artists, contained in its collection.